A closet “wanna-be” racing driver for many years, Paul got into racing late in life, his first ever race being just before his 50th birthday. Having had friendly rivalry for many years on the kart tracks of Norfolk (and the odd track day) with close friend Chris Oxborough, it was a gift from Chris to Paul to take his ARDS test that quickly escalated to him taking part in his first race in the last meeting of the 2015 season at Silverstone. Qualifying 10th in class against a big field was a good achievement. Running a red Twin Spark 156 under Avon Racing in 2016, with encouragement from Clive and Christine Hodgkin, Paul slowly improved his race craft, albeit towards the back of the field. When Clive sadly passed away, Paul was offered Clive’s 3.2 156 which had competed strongly in the hands of several drivers for many years. Annoying electrical problems with his Twin Spark car in the early part of the 2017 season meant Paul switched mid-season to the Power Trophy class using the 3.2 156 and went on to win the 2017 Power Trophy class with multiple class wins. 2018 proved to be a very successful season in the Power Trophy with four overall race wins, many class wins and class lap records, and retaining the Power Trophy class championship for a successive season. He finished second in the overall Alfa Championship, leading at the halfway point from Tom Hill. Had it not been for holiday commitments resulting in missing four races mid-season, he would likely have pushed Tom close all the way to the end of the season. 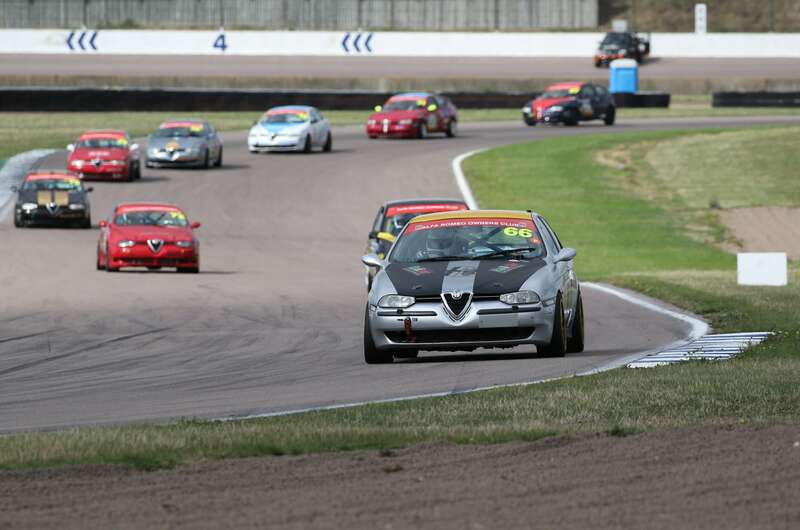 2019 is looking like a very competitive season in the Power Trophy class, possibly having bigger entries than the Twin Spark Cup. It will be interesting to see what considerable winter development by Peak Alfa and Richard Drake Motors will bring for 2019 as Paul hopefully challenges for his third consecutive Power Trophy win, and potentially a challenge for the overall Championship.